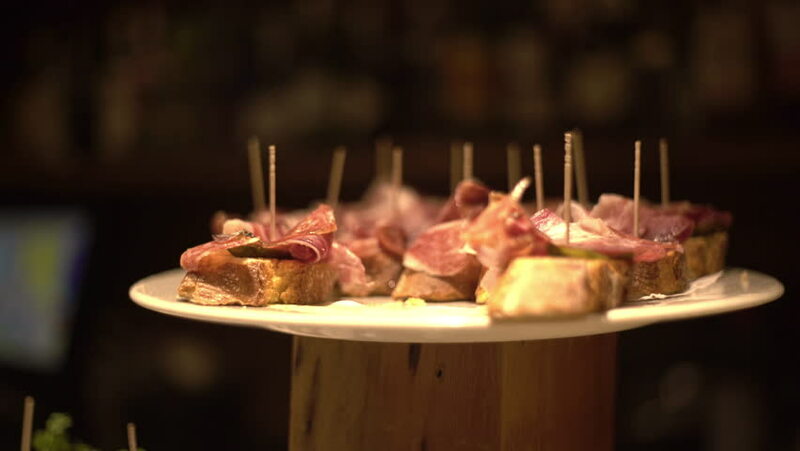 Pinchos of serrano ham in a basque bar. Bites of ham. Sandwiches of ham. hd00:05YANGSHUO, CHINA - AUG 18, 2009: A Chinese cook removes dog head for consumption while smoking cigarette on August 18, 2009 in Yangshuo.